Flower stalls have been embellished, for the last two years, with a special kind of orchid known as the “Big Pink.” Researchers thought it was a hybrid. Turns out it’s totally new to science. When researchers spotted this odd orchid showing up at flower shops, they figured it was a hybrid of two established species. 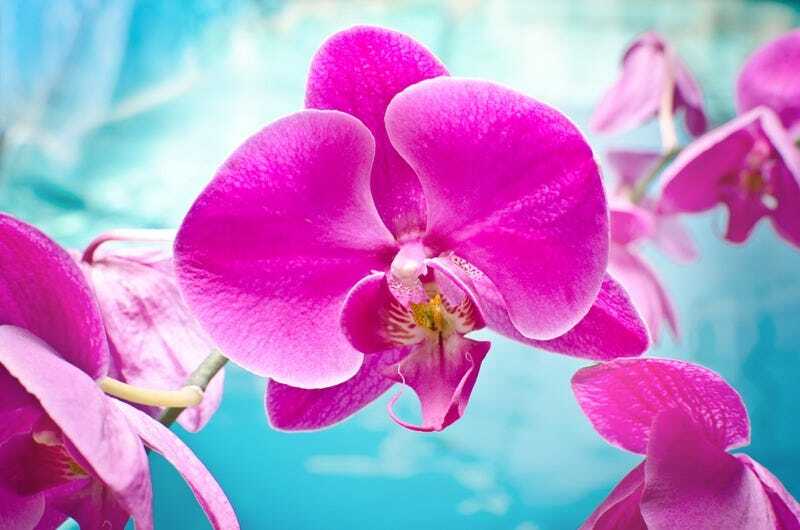 To double check, they analyzed the “Big Pink” and six other orchid species, paying attention to a section of noncoding DNA inherited from both parents and two sets of genes inherited only from the mother plant. They found no crossover whatsoever. The Big Pink was an entirely new kind of orchid—at least according to the science. As far as commerce was concerned it was old hat. The researchers were also able to find out the provenance of one of the samples of the Big Pink orchid. These orchids, given the scientific name Dendrochilum hampelii, make their home in the Philippines, but only about 1,200 meters above sea level. Not much is known about them, but it appears that their roots run along tree trunks along with other vegetation like mosses. Some enterprising person figured out how to cultivate them and ship them to flower shops before any scientists even knew they existed. Sulistyo, Bobby P. et al. (2015) “Dendrochilum hampelii traded as “Big Pink” is a new species,” PhytoKeys 56: 83-97. Top image: Sheldon Q, via Shutterstock. Bottom image: Rogier van Vugt (Hortus botanicus, Leiden University).